Happy first day of summer and with it comes summer travel! I have some exciting trips planned back-to-back, starting tomorrow with a trip to Colombia then Tulum (for a wedding) and then we’re off to Italy to visit Florence, Rome, Venice and the Amalfi Coast. Although these places are pretty amazing, I also can’t complain that I live in a pretty popular travel destination—-Miami. Between its beautiful beaches and weather (sans some crazy rain here and there) I’m very grateful I get to call this place home. This summer, I’m also looking forward to explore my own city. As a Hampton by Hilton Seekender, part of my job is actually to do just that—go out and explore. So I thought I’d get a head start last week and went to check out some places that recently opened in Miami. 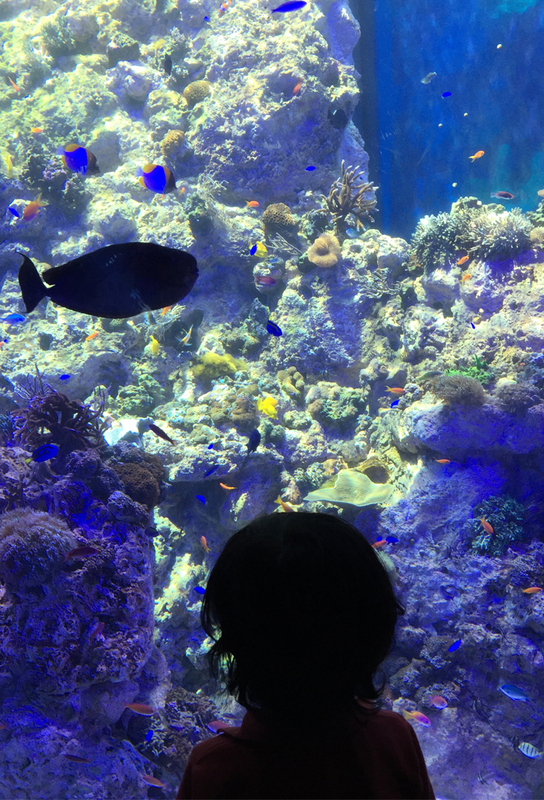 I also hit up some of my regular go-to places with Andy (my 4 year-old a.k.a. my travel buddy). 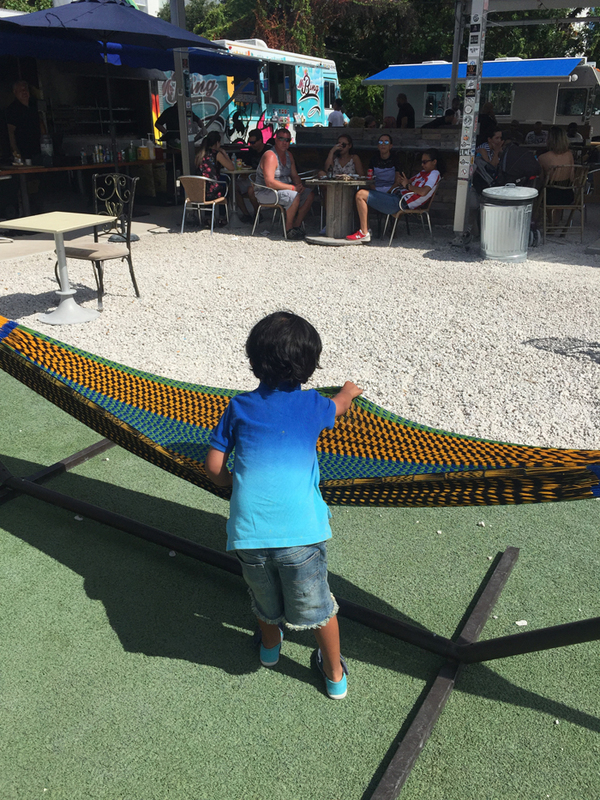 So whether you’re a local looking for things to do or visiting Miami for the first time, I thought I’d round-up some of my favorite things to do in my hometown for a weekend with kids. Head to the Beach: You can’t come to Miami without visiting the beach. 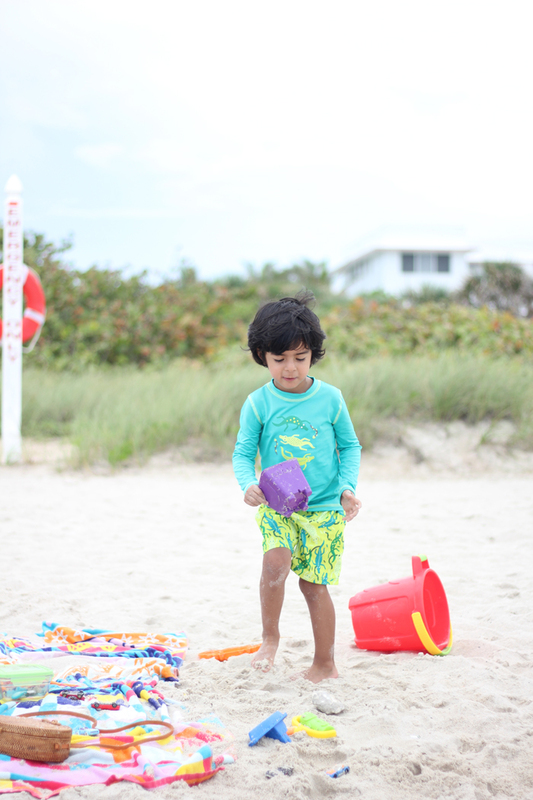 If you’re a local, you also know that hitting the beach is one of those activities that will keep your little ones entertained for hours. Just pack up some sand toys, a beach umbrella and let them play, while you catch up on your favorite book or work on your tan. Although South Beach is the most popular, if you’re looking for something low-key and quiet, I suggest you check out Surfside. I absolutely love Surfside (maybe I’m partial because I live here haha) but it’s a family friendly beach town with beautiful beaches. 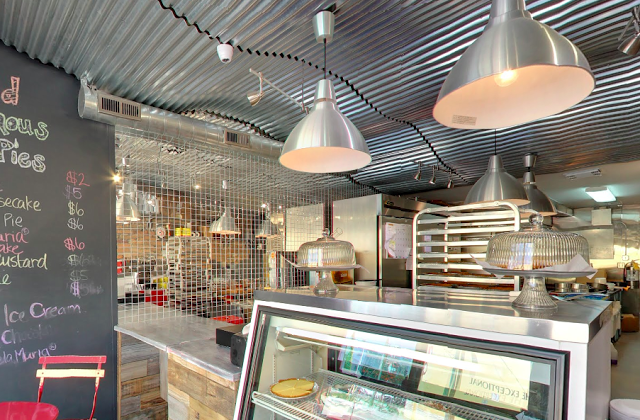 There’s also lots of food and shopping options (it’s right next to Bal Harbour Shops). Surfside is about a 25 minute drive from South Beach. Quick tip: For some yummy food in Surfside, check out The Greek Place (I love their gyros) or get a healthy green juice at The Carrot—both are located on Harding Avenue. Visit the Phillip and Patricia Frost Museum of Science: This museum opened last month and it’s absolutely stunning. For those of us locals, this museum was highly anticipated. It took several years to build and cost a whopping $305 million dollars. The wait was well worth it. 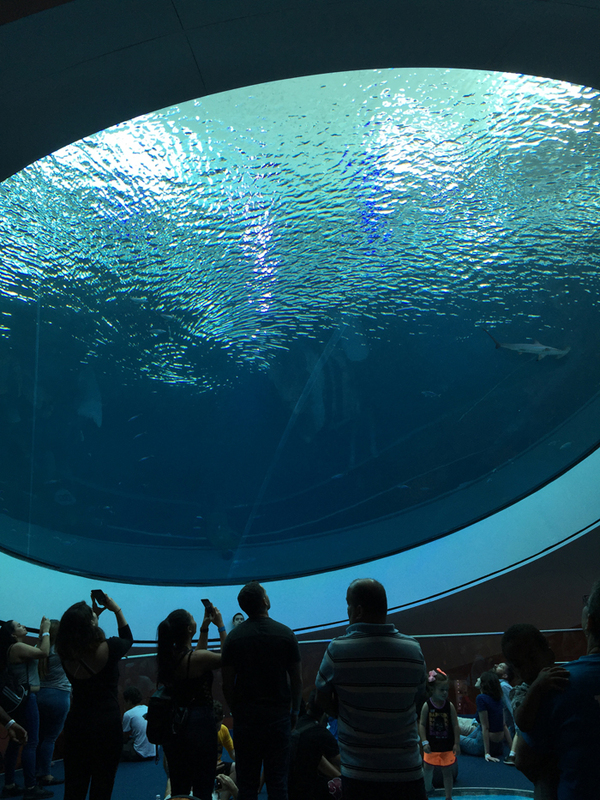 It has a 500,000 gallon, three-story aquarium that kids and adults alike will enjoy. There’s also a planetarium, a LASERsHOW, hands-on exhibits and much more. Quick tip: While you’re at it, be sure to also visit the PAMM (Perez Art Museum Miami), which is right next door to the science museum. After visiting the science museum, we also love coming to the PAMM to grab lunch at their restaurant ‘Verde.’ They have a delicious organic chicken. Visit Wynwood: Wynwood has become such a happening little spot in Miami, it’s pretty much a trip on its own. I love coming here with Andy. Start off by visiting the Wynwood Walls, where the murals are always evolving. Then take a walk and do some exploring. 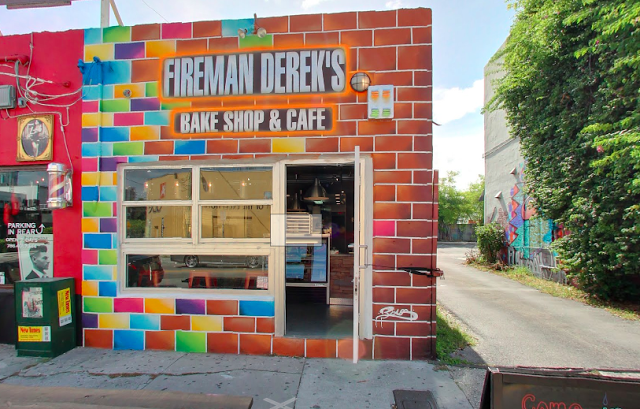 I recommend stopping by Fireman Derek’s World Famous Pies and order a key lime pie. It’s literally the best key lime pie I’ve ever had!! Derek (the owner) and my late husband use to work together at the fire station. For some shopping check out the Boho Hunter (for some bohemian inspired pieces). I also love Dr. Smood (for a healthy lunch and juices) everything is organic! P.S. I'm sure you probably get the point by now that I'm really big on organic food haha. 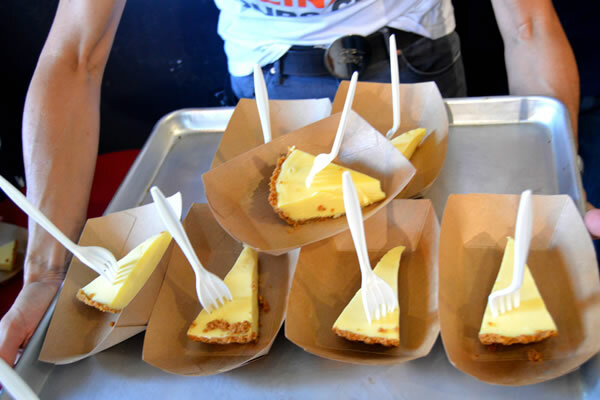 In case you are too, here's a post I did on some of my favorite organic spots in Miami. Quick tip: Take some back-up clothes for kids, since they might get messy after Food Play for Kids. Visit Brickell City Centre: This past weekend I also visited Brickell City Centre for the first time (it opened a few months ago). It’s more of a treat for adults than kids, but still a very beautiful outdoor mall to visit. We had dinner at Tacology, a delicious Mexican restaurant before watching Cars 3 at the CMX movie theater. It’s one of those upscale movie theater concepts with reclinable seats, they give you blankets and also serve food. Andy had the best time and I’m pretty sure he would have stayed sleeping there if he could. So there you have it. I hope you’re feeling inspired to take a little Seekender getaway to Miami or perhaps plan your own staycation here. Remember, Hampton by Hilton has more than 2,000 properties across 16 countries, which makes it that much easier to plan a trip this summer. You can also check out ALL of my Seekender posts here, where I visit San Diego, Los Angeles and Myrtle Beach thanks to Hampton by Hilton. As I always say, it’s all about making memories with your loved ones. Hope you enjoy your summer! Let me know what you have planned. This post is brought to you by Hampton by Hilton. All opinions as always are my own. Thank you for supporting the sponsors that make Viva Fashion possible.